Over the past few months there have been three notable Michael Schenker releases as we wait for the eagerly anticpated 25 year anniversary CD. The current MSG line-up seems to be in a state of flux after some very public falling outs, so it's nice to know that Michael is still staying focussed on the music. Cover song albums are nothing new to Michael, going back to 1991s Contraband, and more recently The Endless Jam with the Schenker-Pattison Summit and his contribution to Siggi Schwarz's Electric Guitar Legends Vol I. Two of this years releases are follow-ups to these latter albums: The Endless Jam Continues notable for a great cover of Cream's Layla. The third release however is a whole new ball game. 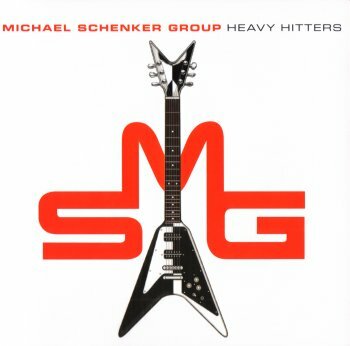 Heavy Hitters is nominally a Michael Schenker Group album, but is basically Michael Schenker and an impressive guest list of stars. Produced by Bob Kulick, Michael playes lead guitar on all tracks on other musicians include ex-UFO/MSG members Ansley Dunbar, Simon Wright, Gary Barden but also appearances from, for instance, Sebastian Bach, Eric Singer, Leslie West, Jeff Scott Soto, Joe Lynn Turner and so on. My favourite track of the album is an excellent version of War Pigs, but the whole album is testement to the fact that at the moment Michael is on top of his game and playing at his very best. In fact it was having this CD on in my car last week that gave me the invigorating kick up the arse that I needed to update this site!